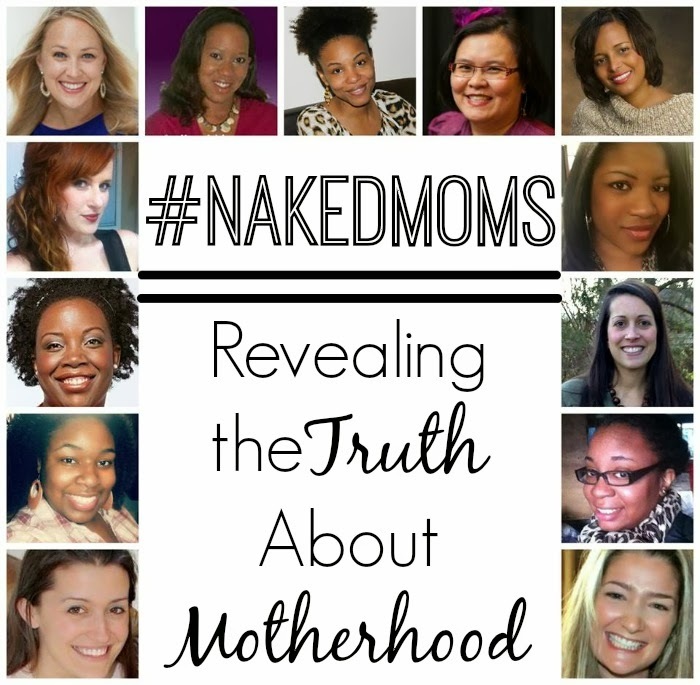 I am participating in a fantastic writing project during 2014 called #NakedMoms : Revealing the Truth About Motherhood. The bloggers will be given writing prompts and will be sharing their honest and raw posts on the 14th of each month. I hope you enjoy! I spend most days lamenting on all the things I wish I could have done differently: how I handled the whining at breakfast, the dilly-dallying while putting on shoes, the meltdown before heading out the door to the bus stop, the yelling in the car, the amount of TV they watched, the tsunami-level splashing during bath time and the frustration of being called to no less than 1,032 times after I've tucked them into bed. Once they are asleep, I struggle over the Mommy Guilt of all the ways I've failed them and vow that tomorrow I'll do better. I think back through my day, ashamed at my frustration, my raised voice, my impatience. Why did I choose those battles? Why did I allow my emotions to get the best of me? Why didn't I appreciate the tender moments that happened while I was too busy to notice? Rather, I am self-centered. We come into this world completely and fully self-centered. It's all we can do to survive as a small being. We only understand one thing: ourselves. Over time, we learn and grow. And while we develop empathy, kindness and compassion, we are still wired to put ourselves first. It isn't until we are put in the position of being intricately linked to another human through marriage or parenthood that we can begin to truly understand how to be other-centered. When I married Hubby, I was thrust from the world of I into the world of We. There was a great transition of letting go of self, and uniting as one. It is a delicate act of balancing my wants and needs and his wants and needs. Of embracing his dreams equally as my own. And the I that turned into We was suddenly and wholeheartedly focused on Them. Protecting, nurturing, loving and teaching these little beings that we created. This has been a greater transition, one that I am still navigating even after 5+ years. Because their needs, as mine once were when I came into the world so many years ago, are demanding and totally self-focused. They demand of me and require my focus on them. And at the end of the day, when I am lamenting over my failures as a parent, I find that the emotion I am wrestling with amidst the exhaustion is resentment. That I am so demanded of, that I am required to give so much. I cringe even as I write it now. But there it is: Resentment. It's awful but simultaneously beautiful. You see, within this realization is the key to being a better mom. The secret to being a better mom is to GIVE UP. The resentment that nestles into my heart after a long day of parenting is there because of unmet expectations. Expectations that I didn't even realize were there. The expectation that the children will listen to what I say or follow the direction I guide them in. That things will go as I want and have planned them to. The expectation that they quickly put on their shoes or go to bed without a fuss. If I am honest with myself, I still have deep down expectations from my pre-kids life that come out of habit. That my frustration from bedtime is really rooted in my desire to spend my night as I please - without parental responsibilities. There was a time that I could come home from work, kick off my shoes, and watch TV until I went to bed. Or I could decide to meet friends for dinner at the "late" hour of 7 o'clock. Or on Saturday mornings I could sleep until I chose to wake up. Of course I miss that sometimes. I believe my frustrations are born out of the fact that there are parts of my old life that I simply haven't given up yet, even if it's only subconsciously. That I am still holding on to the I and resisting the Us. So I today I make the choice to give up, to sacrifice self. To give up expecting things to go a certain way (or, rather, my way). To give up notions from my pre-kids life. A life that, sure, had certain freedoms, but lacked the beauty and depth of knowing the love of a man like my husband and the joy of being the mother to my beautiful girls. Because I truly and absolutely love my us. When we allow ourselves to give up that which we think is good (even if it is all we've ever known), we open the doors to far greater things. Check back next month on the 14th for a new post in the series!